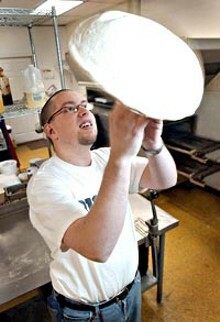 Home made dough & fresh toppings make the difference - Big guy's is the best pizza you will ever taste! We are a family owned and operated business. We take great pride in bringing you a great pizza for lunch. dinner, or even a late night snack. Come in and enjoy our pizza! Entertainment: WE HAVE A FREE AIR HOCKEY TABLE FOR PAYING CUSTOMERS TO ENJOY!